There have only been seven occasions in Oscar history where the Best Actor and Best Actress awards have gone to a duo from the same movie. It’s quite a rare Academy Award phenomenon, despite the fact that there are often Best Actor/Best Actress nominees from the same picture. The last pair of Best Actor/Best Actress nominees from the same film to both win was all the way back in 1997. Jack Nicholson and Helen Hunt both won for ‘As Good as it Gets.’ Prior to that ceremony, there had been six other Best Actor/Best Actress winners from the same film. Bradley Cooper and Lady Gaga could well be the eighth pair of co-stars to both take home Oscars. 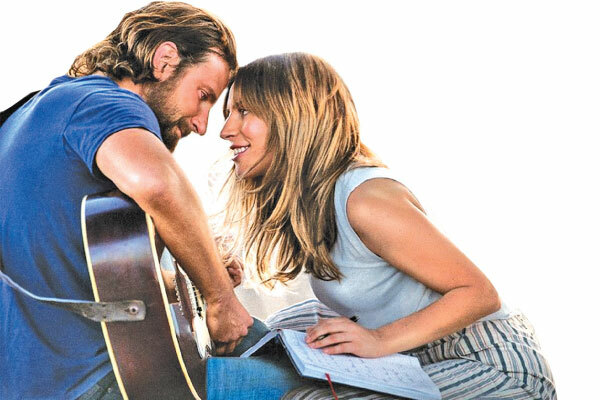 Currently, they sit atop our odds charts in their respective categories for their work in ‘A Star is Born.’ It’s a love story that has been told before, four times in fact, but their natural performances make this the best version to date. Lady Gaga has some serious competition in perennial Oscar bridesmaid Glenn Close, who stars in ‘The Wife’ and is vying for her 7th nomination as well as Olivia Colman in ‘The Favourite.’ Cooper has just as tough a group of competitors. While Cooper’s character, Jackson Maine, is fictional, his performance is no less transformative. He learned how to sing and play the guitar. Behind the scenes, he co-wrote the screenplay and makes his directorial debut.